Developers are keen to bring back the fan base from Apex Legends that has been rocking now a days. That is why they have added interesting items in the update. Players will be getting some new items for their inventory customization. If you have the Battle Pass, you are going to receive: Blackheart skin, Skeleton Pirate, The Hybrid skin and a Dragon Ninja-thingy. Season 8 Battle pass will also gift new pets like the wooden dog shown in the footage. Some new emotes like Peanut Butter Jelly time and Anyone are also added in the patch. Plus, there will be weapon wraps. You can also spot the beautiful looking Banana skin in the clip, which is our favorite so far. Though it may give away your position in the game with sharp color but who cares when you look this cool right! Players who like to explore the map in every other round will be happy to know that the developers have added a new area in the map to explore as well. You’ll be seeing a volcanic eruption on the edge of the map with a volcano pouring down the lava. Two new locations Sunny Steps and Lazy Lagoons will be added too. 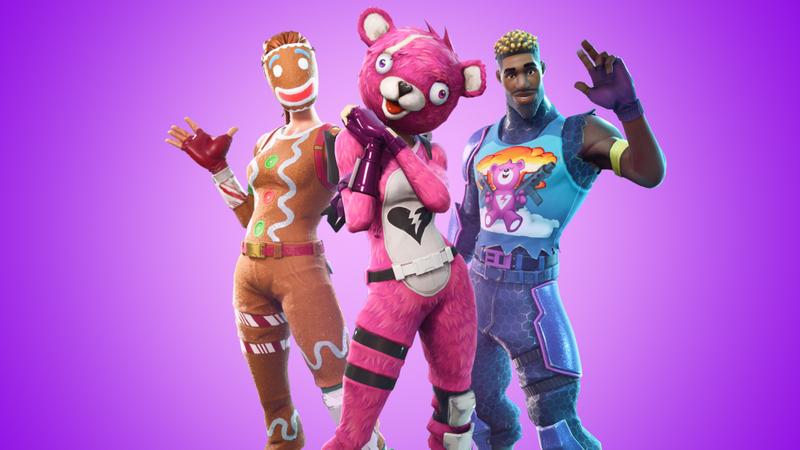 Epic Games has also mentioned a brand-new party assist feature coming to the game. Party leader will select a challenge for the whole team before the match to set their focus. Completing the challenge will grant level boost to all squad members. This interesting feature will also bring out compelling play style as each player will try to approach the challenge differently. Playing round be more fun than ever. Let us see what Party Assist will bring into the game. Before start of a match, party leader can select a daily or weekly challenge as Party Assist to focus on. Every team member will be going for it. An important thing to keep in mind is that this Party Assist challenge won’t be completed with the help of fill-up squad. You can select the fill-up squad option to complete the team before any match if your party does not have the required numbers. But as said earlier their progress won’t count towards the challenge’s progress. Fortnite season 8 is also bringing back 50v50 Limited time mode. This mode will allow teams to divide into two big squads. Teams will be getting off from two separate buses. And both squads of a team will work together to defeat common enemy team. To add up to the pile, game will also be receiving giant cannon which could blow away structures. Its giant cannon balls will deal heavy damage to the enemies. This cannon concept is taken from Sea of Thieves as you’ll be able to climb on to the cannon and fire it. You’ll be able to take aim with cannon and blow away enemies. Cannon could also be adjusted at a fixed position. Cannon could shoot enemy players from a far while causing destruction to objects in the way. It could destroy structures and plow objects easily. With direct hit, cannon’s fire will finish off a player and those standing in a small radius of blast will be damaged heavily. Could be found anywhere in the area. 50v50 Limited time mode is not the only mode players will be having in the upcoming patch. As, the famous LTM Close Encounters will be coming to Fortnite. Players will be fighting the combat with shotguns and jetpacks only. As the name suggest, be ready for close combats as you’ll be facing a lot of them. For Fortnite players who love Creative and Save the World, the patch will contain fresh contents. For creative, there will be a new Jungle temple, providing players the opportunity to design their own Aztec puzzles. Tell us your thoughts on this latest patch of Fortnite Season 8. Are you happy with the new additions in the game? Comment below to share your thoughts. Check out some of our other guides here.